Sasha Matthews’ Everyday Superheroes project started off as a fundraiser for ACLU. Her idea was to draw real people doing what they love in life, but in the form of a superhero. This one was commissioned by Anne and Meredith Auten to celebrate their father David. 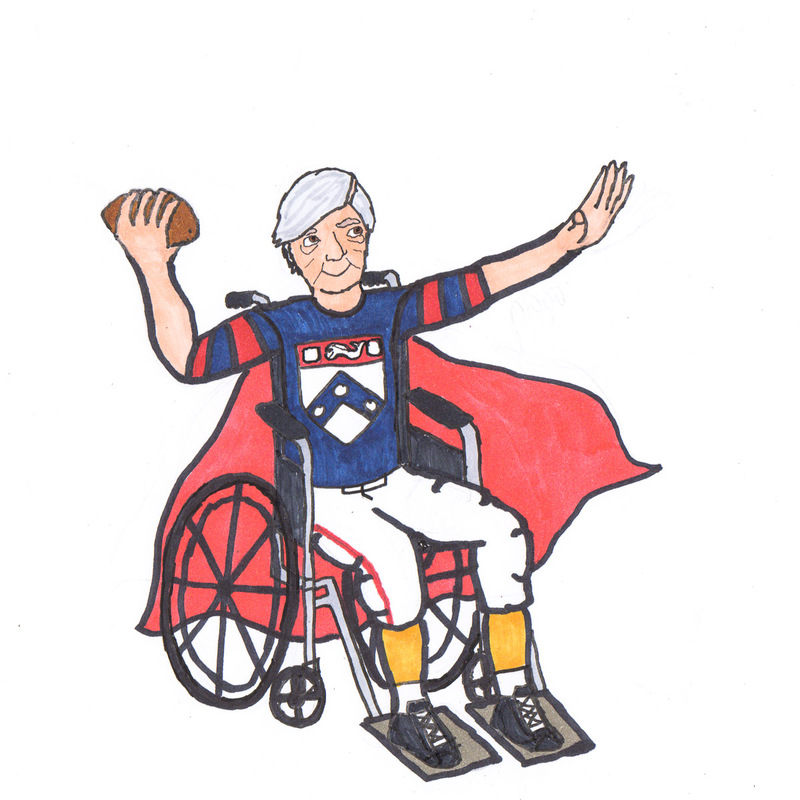 He’s a retired lawyer, a lifelong University of Pennsylvania fan, involved in his church, and on the team raising awareness of Parkinson’s. Read more about the Everyday Superheroes project on Amy Poehler’s Smart Girls.